Our free layout tool, ARTHR, is the unsung hero behind many of the newspapers we print at Newspaper Club. If you've not met ARTHR, here's a speedy rundown of how it works: starting with a blank template or a demo design, you can organise your content, lay it out, preview it and send it to print – without leaving our website or downloading any software. It's a simple tool, but there's lots you can do with it. People create all sorts of newspapers with ARTHR, from wedding invitations to community zines, and we want to share more of them here on the blog. Kicking off our new Made With ARTHR series is Andy P. Smith, a New York-based writer and designer who works with small businesses. He used ARTHR to design a newspaper for NY Studio Factory, a shared creative space with locations around Brooklyn. Read what he had to say the project (which included custom newspaper dispensers!) below. 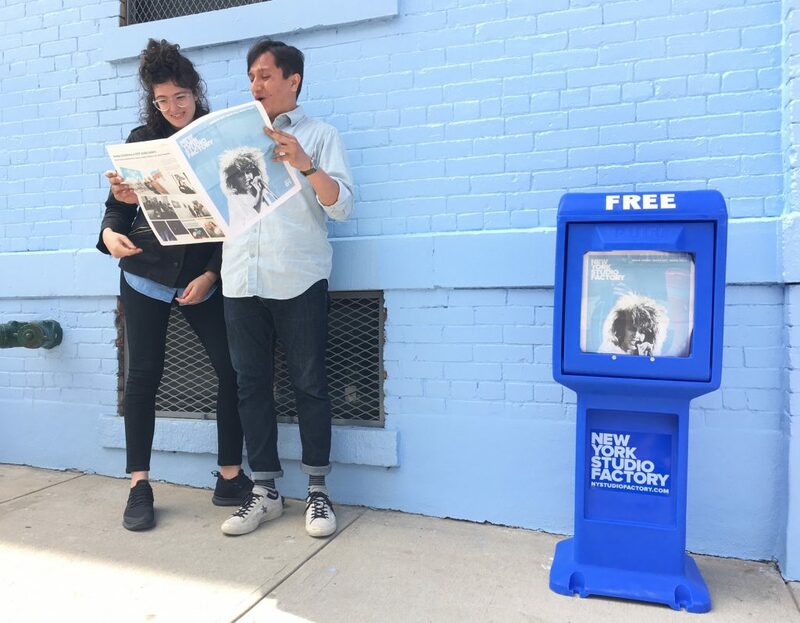 NY Studio Factory is a stalwart of the artistic community here in Brooklyn and I had the great pleasure and opportunity to collaborate with them to produce a digital tabloid newspaper. The publication shows what makes NYSF and Brooklyn a great place for working creatives. I hope to publish a new issue each month, featuring interviews with artists and musicians who have studios at NY Studio Factory, plus photos of events I've coordinated onsite with partners like Moog and the Braven Brewing Company. 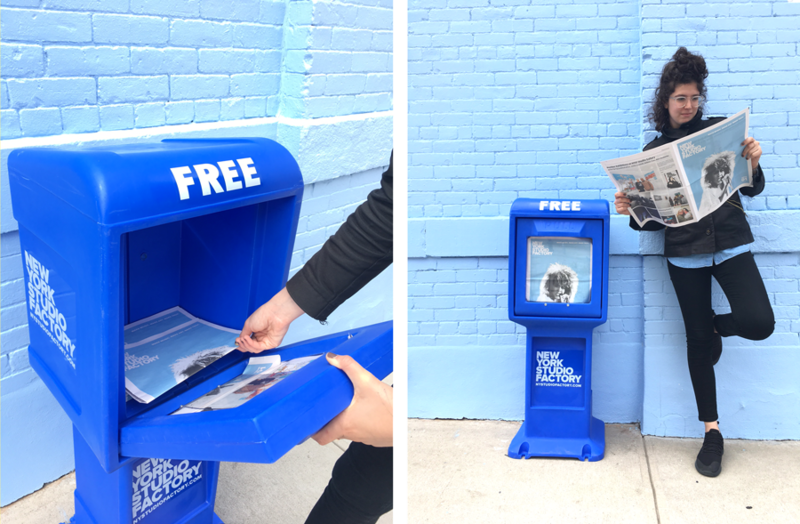 I also installed NYSF-branded newspaper dispensers (from Go Plastics) around the neighborhood, so people know where they can pick up the issues. Snagging a copy of the NY Studio Factory newspaper. Design by Andy P. Smith. I've always loved print. I earned my Master's in Publishing from NYU and studied writing at Pratt Institute where I was editor of the school magazine. Printing was very difficult back then, to say the least. But producing this publication through Newspaper Club was a painless, seamless process. Using the ARTHR online layout tool allowed me to lay out the newspaper very quickly. While I often use Adobe CS for digital and print design, using ARTHR for this project saved me valuable time and resources. And it came out great! Honestly, the process was so much fun I'll probably use Newspaper Club to print the programs for my wedding in September – we'll see!